Michael Campbell examines the current state of charitable giving and what would have to happen to make it even healthier than it is…. Victor Adair, doing the show for Michael, starts on real estate with Ozzie Jurock. Ozzie tells Victor about the trend of selling small Vancouver Wartime bungalows for $1.6 million, then taking the funds and and buying a virtual mansion in a lovely BC area for 500-500K and putting a million in the bank to help with retirement. Michael Levy gives us the the 5 things smart people are talking about, espspecially the “Event of the Moment”….the “hugely important” Swiss referendum on Gold taking place this Sunday November 30th. Victor Adair interviews one of the great experts on the Oil Market and a man he really respects, Keith Schaefer of the Oil & Gas Investments Bulletin. 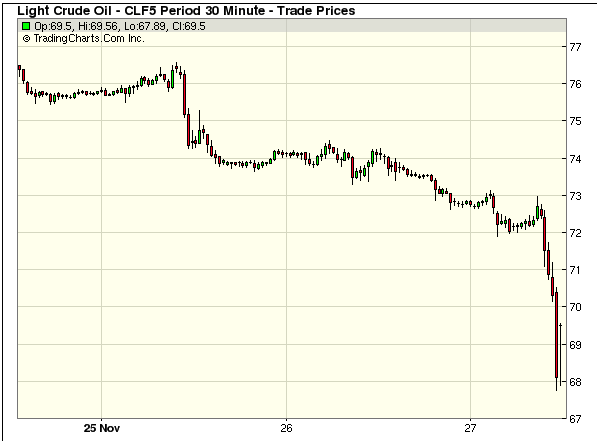 Victor asks Keith all about the huge story of Oil crashing $10 last week to $66.15, most of the drop on friday alone. All of the opportunities, income opportunities and dangers he sees in this wild, volatile market, the oil and gas companies he researches that have high or potentially high growth rates, and those he is recommending. Keith buys all his recommendations himself, so listeners can be assured he has his own money on the line. Victor also asks his guest Kevin Konar how to earn money in a low interest rate environment.